Cookstr, the world’s #1 collection of online cookbook recipes, has recently announced their launch of made-for-mobile cookbooks available on Apple’s iBookstore. 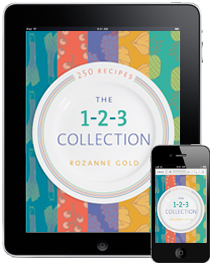 Cookstr’s iBookstore premiered with award-winning chef, cookbook author and Arts Horizons board member Rozanne Gold’s The 1-2-3 Collection. Over 10 years ago, Gold embraced simple cooking. 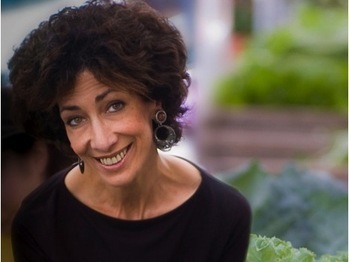 Today, she is known for her vibrant three-ingredient recipes. The 1-2-3 Collection is iPad friendly with each recipe only 140 words or less, stunning images and exclusive notes by Rozanne Gold herself. “The opportunity to create new cooking experiences that embrace technology is exhilarating,” said Gold. Visit http://ibooks.cookstr.com or www.itunes.com/rozannegold for more information. A free sample of The 1-2-3 Collection is also available by searching for “Cookstr” or “Rozanne” on the iBookstore.